Antarctica, the name creates an image of an ice covered freezing barren land with no trace of green. But can you imagine, some million years ago, Antarctica was lush green with innumerable species of flora and fauna, dinosaurs and what not. Researchers say that the breathtaking landscapes that once used to be the abode of millions of species of plants and animals are now compressed under humongous sheets of ice and it’s possible that some species of plants and animals are still alive. 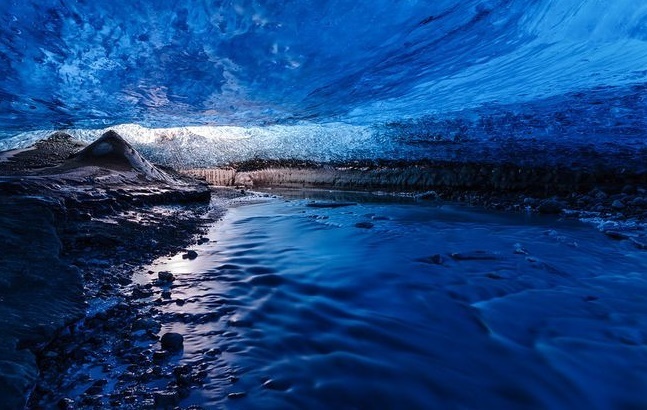 An enormous part of the ecosystem is believed to be buried underneath the huge chunks of ice. The fossils can be studied to know about the types of species that existed. Now scientists have discovered something magnificent- an enormous 62-mile long, ribbon-shaped subglacial liquid lake. This new discovery of the subglacial lake reminds of another sub glacial lake, Lake Vostok. Lake Vostok was discovered at the end of 20th century. The newly discovered lake is not as big as Vostok but it’s located close to a research station. So extracting information will be feasible. The landscape of the lake is grooved on a large scale. This indicates the presence of water bodies on the surface. The grooves leads to a huge canyon system on earth. According to news channel The Motherboard, scientists have unveiled that subterranean channels leading away from the lake might still funnel flowing water into the ocean many miles away. The main motive is right now to find out existing living animals underneath the compressed ice sheets. It’s unlikely that plants and animals of some millions of years ago, compressed under ice will be living. But even the fossils and organic remains will be vital for revealing Antarctica’s mysterious conundrum.